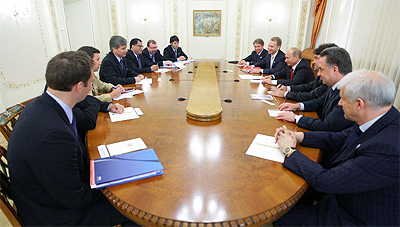 The Russian economy has been hard hit by economic sanctions imposed by Western countries over Moscow’s 2014 annexation of Ukraine’s Crimea region and its ongoing military, political, and economic support for separatist formations in eastern Ukraine, as well as by Russia’s countersactions. Putin’s comments come a month after the February 14 arrest of Michael Calvey, a U.S. citizen and the founder of the multi-billion-dollar Baring Vostok investment fund. Former Finance Minister Aleksei Kudrin on February 18 called Calvey’s arrest an “emergency” for the Russian economy that would damage the country’s reputation and investment climate. During his state-of-the-nation address on February 20, Putin said “honest businesses” should not live in fear of prosecution. 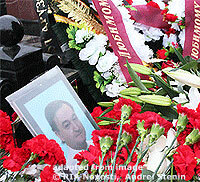 Human rights activists have documented numerous cases of torture and abuse in Russian remand prisons, including the 2009 death in custody of tax lawyer Sergei Magnitsky after 358 days in Moscow’s Butyrka prison.